In late March, FXB Center Director Jennifer Leaning and FXB Fellow Elizabeth Newnham traveled to China at the invitation of the Collaborating Centre for Oxford University and Chinese University of Hong Kong (CUHK) for Disaster and Medical Humanitarian Response (CCOUC). 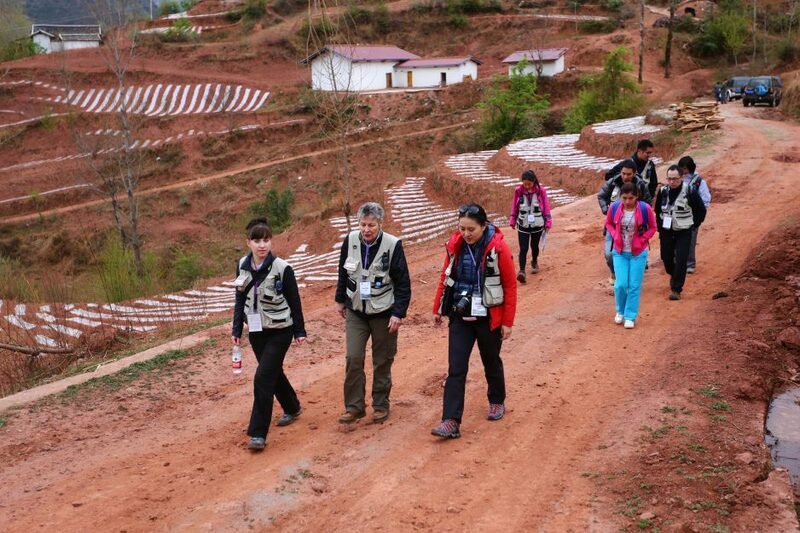 Leaning and Newnham joined a group from CCOUC’s Ethnic Minority Health Project to explore issues of disaster preparedness and public health issues in a remote, flood-prone village in southern Sichuan Province. A flood in August 2012 is estimated to have affected 218,000 residents in the area and cost RMB 1.69 billion (US $271 million). Watch a video describing the experience to learn more. Following the trip, Leaning, Emily Chan, CCOUC Director and FXB Fellow, and Michael VanRooyen, Director of the Harvard Humanitarian Initiative, delivered a joint lecture at CUHK on health emergencies and resilience building in Hong Kong and rural China. Click here to see Leaning’s interview in the South China Morning Post.